Today’s shoppers easily bounce back and forth between online and offline channels. To keep up, merchants must extend their presence across multiple channels and create consistent experiences. The problem is that multi-channel marketing and selling is difficult, especially when it comes to tracking and managing your inventory. For retailers, inventory is accurate just 63% of the time, on average. That number isn’t good enough. Inventory mistakes lead to overselling, upset customers, and lost sales. To help you build a more profitable business, this post discusses what multi-channel eCommerce is, why you should care more about your multi-channel inventory management, and steps to start improving your processes today. What is a Multi-Channel Inventory Strategy? It’s more important than ever that merchants sell where their potential customers are. Shoppers want to shop whenever and wherever they want. For merchants, this often means expanding to new sales channels whether its eCommerce, marketplaces, physical stores or social media. Why do so? 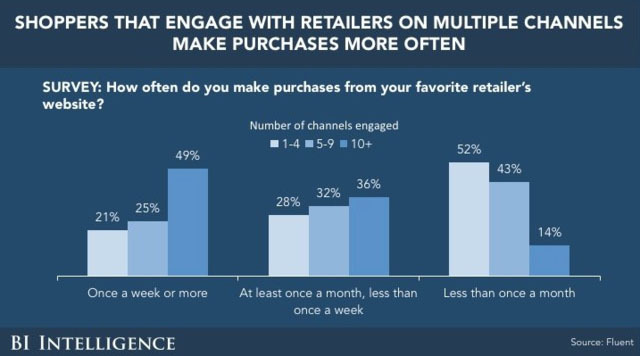 Multi-channel shoppers spend more. A Fluent survey found that 49% of shoppers who engage with retailer across 10 or more channels make purchases from their favorite retailer’s eCommerce site at least once a week, compared to just 21% for those engage across one to four channels. 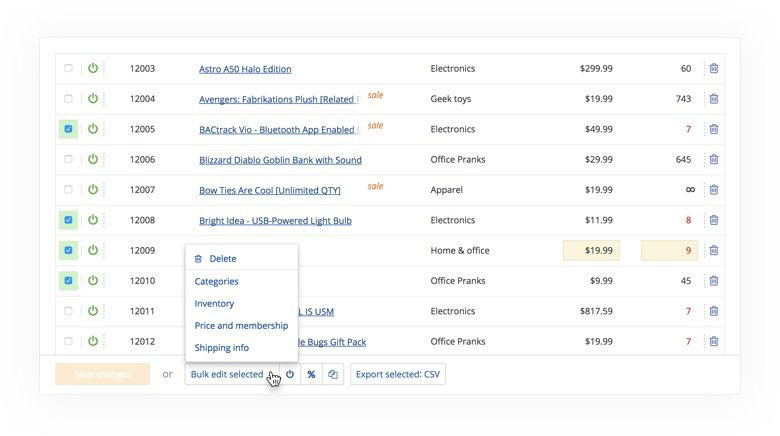 If you plan listing products across different online channels with different marketing and requirements, you need a place to consolidate product data. If you want to sell the same products across different online channels, then you need complete visibility into inventory quantities across all locations. You need to optimize how you interact with your suppliers to implement strategies like drop shipping and dynamic multi-channel order management. You need the ability to expand new sales channels as your customers demand and scale your processes to handle growth. To be a successful brand, you need to implement a front-to-back multi-channel marketing strategy. This accounts for all the customer touch points and the “behind the scenes” changes you need to be successful. If you don’t consider both, you won’t create a seamless omnichannel experience across all channels whether online or offline. You don’t expect your customers to shop “by channel” so you can’t run your business by separate channels either. When inventory isn’t tracked or updated correctly, merchants often oversell online. Nothing’s worse than telling a customer that you can’t ship an item they bought because you don’t have it. Carrying too much inventory ties up capital. Too little means missed opportunities for sales. Properly tracking inventory helps you forecast sales. You’ll know how much inventory you need during different parts of the year. Is your team constantly trying to locate inventory quantities? If you’re slow to update, locate and ship inventory, you won’t be able to offer customers fast shipping times like two-day or same-day delivery. This can lead to a loss in sales. 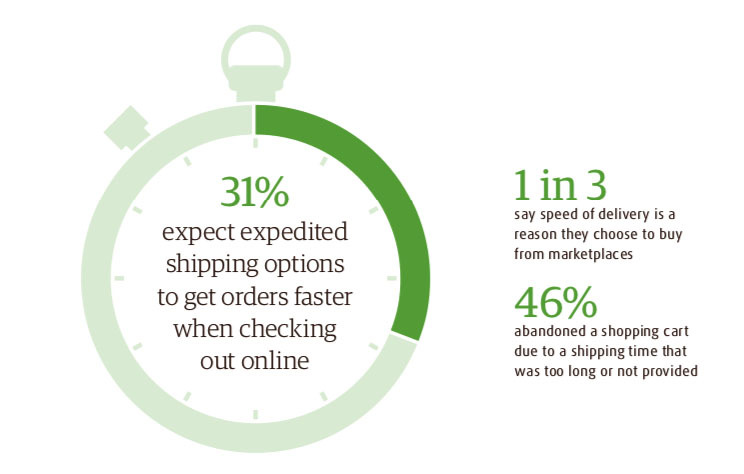 According to the UPS Pulse of the Shopper report, 46% of online shoppers abandoned a shopping cart due to a shipping time that was too long or not provided. 66% of consumers say that providing multiple fulfillment options influences their willingness to complete the purchase. Can you offer customers to buy online, pick up in store? Can they check online to see what your in-store stock levels are? This is the type of experience today’s shoppers want. If you don’t provide it, they’ll shop somewhere else. If you work with suppliers, you know their inventory is out of your control. It’s crucial you have a tight relationship with them so you know they have inventory in stock, their shipping the right items, and their charging you correctly. Inefficient fulfillment processes Without this communication, you could end up with frustrated customers or paying too much or too early for your items. And inefficient fulfillment processes can ruin the whole business. Better inventory management leads to improvements in two major areas: customer experience and profitability. Customers will have better interactions with your brand, no matter where they shop. You’ll also have sufficient inventory management so you can forecast sales and control costs. Think about your own business. How could better inventory management improve your processes? Can you really afford not to prioritize it any longer? Handling inventory across multiple channels like eCommerce and beyond brings its own set of challenges. Here is our guide to improve your eCommerce inventory management. First, consider where you’re managing your inventory. Are you using your eCommerce platform or a designated inventory management system (IMS)? When you’re first starting out, it’s usually practical to manage your inventory straight from your eCommerce platform. As you grow though, you’ll find this practice starts to fall short. While eCommerce platforms do have native inventory features built in, they aren’t meant to handle complex multi-channel inventory needs. They won’t be able to handle real-time syncing or updating inventory quantities across all your sales channels on their own. They won’t integrate with your suppliers natively. That’s why many merchants look to a single, designated system to centralize their inventory management. This system could be a lightweight IMS or an Enterprise Resource Planning (ERP) system. These systems are designed to give you much more functionality and flexibility. When you’re ready, picking the right solution is critical. eCommerce inventory management software vary in price and functionality. You don’t want to pay too much for features you don’t need. You also don’t want to go too small and pick a solution that doesn’t allow for growth. How quickly are you growing? What are your plans for growth? How many channels are you managing? Do you plan on adding more? What other systems must you integrate with it? What is your fulfillment process? Do you have a warehouse? What’s your budget? What can you afford relative to the value it will provide? Do you need to integrate suppliers? Answering these questions will help determine the best multi-channel eCommerce solution for your business. Do your research upfront so you don’t waste time or money down the road replacing it. To start your research, check out a top inventory management system like SkuVault or learn how to evaluate an ERP system for your multi-channel business. Adding an Inventory Management System doesn’t solve all your problems. You now have another system. How do you efficiently move inventory data back and forth between your sales channels like your webstore and your IMS? The answer is multi-channel listing and inventory management software. Without it, you’re stuck with manually entering customer data between your systems. Relying on manual data entry is prone to human mistakes like typos. It can also seriously slow down your processes. Some companies have dedicated staff members who spend hours hand keying inventory updates, line-by-line every week individually in each system. If you have hundreds to thousands of SKUs selling across multiple channels, inventory lag can result in missed sales opportunities because of overselling, cancelled orders, and overstocks. In the end, your customers are the ones left frustrated. To overcome these challenges, merchants can turn to integration provider who connects sales channels like eCommerce platforms with ERP or other inventory management systems. Integration providers sync inventory quantities across your systems. This eliminates the need for manual data entry. Integration gives you a single source of truth of your inventory data. You’ll be able to answer critical questions like: How many of this item did we sell and how many do we have now? When evaluating integration solutions, do not settle for any multi-channel eCommerce inventory management solution that doesn’t sync your inventory quantities in as real-time as your systems allow. Some integration providers might batch sync your data regardless, meaning every 30-minutes or once a day. Without real-time syncing, you’re still at risk for overselling especially during high volume sales. Overall, integration makes your business more efficient and gives you access to accurate and timely data about your inventory. You’ll have visibility into your total inventory so you can make the right decisions for your business. Many retailers are growing vast supplier network whether to kick-start their online business through drop shipping, create endless aisle experiences in store, or to start their own marketplace like Amazon, eBay, Etsy, you name it. No matter how you’re working with suppliers, there’s a lot of communication that must go on between you and each supplier to ensure inventory makes it from multiple warehouses into your customers’ hands. How do you know your supplier has inventory to ship? When did they ship it? Did your customer receive it? How much do you owe your supplier? When should you pay them? Throughout that process though, a lot can go wrong. You need visibility into your supplier’s product catalog and inventory availability. 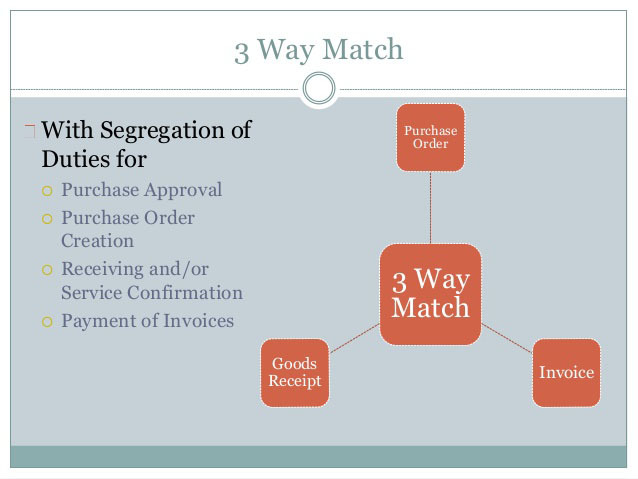 You must track when inventory is shipped if your customer received it, and you must reconcile payments (called three-way match) to safeguard your financial health. When it comes to your suppliers’ inventory levels, it’s out of your control. You must always be in constant communication with them to ensure you’re aware of any stock outs or answer any customer service calls. Retailers must also consider how they can integrate with their suppliers to improve the efficiency of their supply chain. Focusing your attention and resources on warehouse management should streamline your work process. If done incorrectly, it can ruin your business. All companies are different in how they manage inventory, but all companies strive to keep inventory costs low. To monitor that, you need to decide on and track important inventory management metrics company-wide. Customer order fill rate = how many times you successfully serviced your customers / total number of sales orders. You may need an order management software to manage orders coming шт from different sources. Once you put inventory management practices in place, you need a way to monitor their effectiveness. These metrics are a good place to start. You’ll be able to assess the efficiency of your processes and customer experience. Start with the first metric and work your way down. There are certain product types that cause inventory complications such as variant products and kits or item bundles. Variant or matrix products are when you have multiple variances of one product. For example, t-shirt sellers often have multiple sizes and colors for the same t-shirt design. How are your SKUs set up for this item? How do you track inventory for each SKU? Kits or item bundles are when you sell multiple individual items together as one. For example, you might sell shampoo, conditioner, soap and a loofah as a shower kit. When you sell a kit, you can’t decimate the whole bundle as one item. Instead, you need to decimate inventory for each item individually. This ensures you don’t oversell any of your inventory. When evaluating multichannel inventory management solutions, you must consider nuisances in your products like these. Your eCommerce platform probably won’t be able to handle these situations efficiently. Be sure to see how your inventory management system or integration solution can help manage these unique product challenges. Managing inventory across multiple channels is no easy task. It requires combining the right systems and processes. When done well, inventory management can be a crucial advantage for your company. You’ll provide that special experience your customers are looking for while also keeping your bottom line healthy. If you’re a multi-channel eCommerce seller, know when your processes warrant integration to increase efficiency and scalability. Make sure you do diligent research on the right systems for your business processes. Whenever you decide about inventory management, always keep your customers in mind. How can your customers benefit from improve inventory management practices? Jillian Hufford joined nChannel, provider of eCommerce integration, as their Marketing Analyst. Using both her writing and analytic skills, she assists the Marketing and Sales teams. Jillian helps with marketing strategy, performs competitor market research, provides analysis of key sales metrics, and writes informative posts on multichannel commerce trends. She holds a BA in Marketing from Otterbein University.